Joseph B. Diekemper, 88, of Breese, and formerly of Carlyle, died Thursday, February 19, 2009 at Breese Nursing Home. Mr. Diekemper was born December 25, 1920 in Carlyle, a son of Mathias M. and Rose (Ilges) Diekemper; they preceded him in death. He married Lily Ward on February 19, 1946 at St. Mary Catholic Church in Carlyle; she preceded him in death on June 13, 1982. In addition to his 1st wife and parents, he was preceded in death by a grandson, Troy Diekemper; a step-daughter, Charmaine Lager; a son-in-law, Larry Pingsterhaus; sisters, Florence Kluemke, Anna Voss, Julia Diekemper, and Eleanor Diekemper; brothers, Henry Diekemper, Mathias Diekemper, and Bernard Diekemper; a sister-in-law, Bernetta Diekemper; brothers-in-law, George Kluemke and Edward Voss. He then married Mary Schierman-Lager on August 25, 1984 at St. Theresa Catholic Church in Marydale; she survives in Breese. Also surviving are his children, Wayne (Dorothy) Diekemper of Carlyle, Joseph W. (Mickey) Diekemper of Carlyle, Jerome (Elaine) Diekemper of Carlyle, Julia (Dr. Ted) Little of Shelbyville, and Gerri Pingsterhaus of Germantown. A step-son, Jerry (Kim) Lager of Highland. 10 Grandchildren, 12 Great-Grandchildren, and 1 Step-Grandson. A Brother, Raymond (Leonilda) Diekemper of Carlyle. Sisters-in-law, Johanna Diekemper of Carlyle, Lucinda Kleiboeker of Carlyle, Alice Rehkemper of St. Rose, Florence Test, Cincinnati, OH, Flora “Cotton” Clemens of CO. Vera Heidel of Ashley. 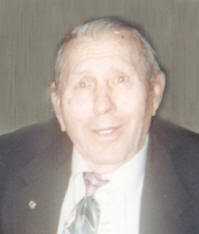 Joseph was a retired farmer and a US Navy Veteran of WWII. He was a member of St. Dominic Church in Breese, Carlyle Knights of Columbus, Breese American Legion Post 252, Carlyle VFW post 3523, Clinton County Farm Bureau, and the Concordia Saengerchor. Funeral Mass of Christian Burial will be Monday, February 23, 2009 at 10:00 AM at St. Dominic Catholic Church in Breese with Rev. Patrick Peter officiating. Interment will be in St. Mary Cemetery, Carlyle with full military honors accorded. Visitation will be Sunday, February 22, 2009 from 4:00-8:00 PM and again on Monday, February 23, 2009 from 8:00-9:45 AM at the Moss Funeral Home in Breese. 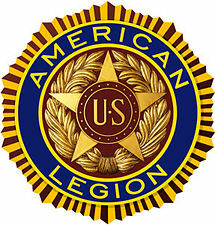 The Breese American Legion will hold services at 7:00 PM Sunday Evening at the funeral home. Memorial can be to Mater Dei High School or Ameircan Diabetes Association an will be received through the funeral home.